LATHAM --New York Army National Guard Spc. Casey Gosse a military police officer with the 206th Military Police Company carries a M240 in Latham N.Y. June 5 2018. 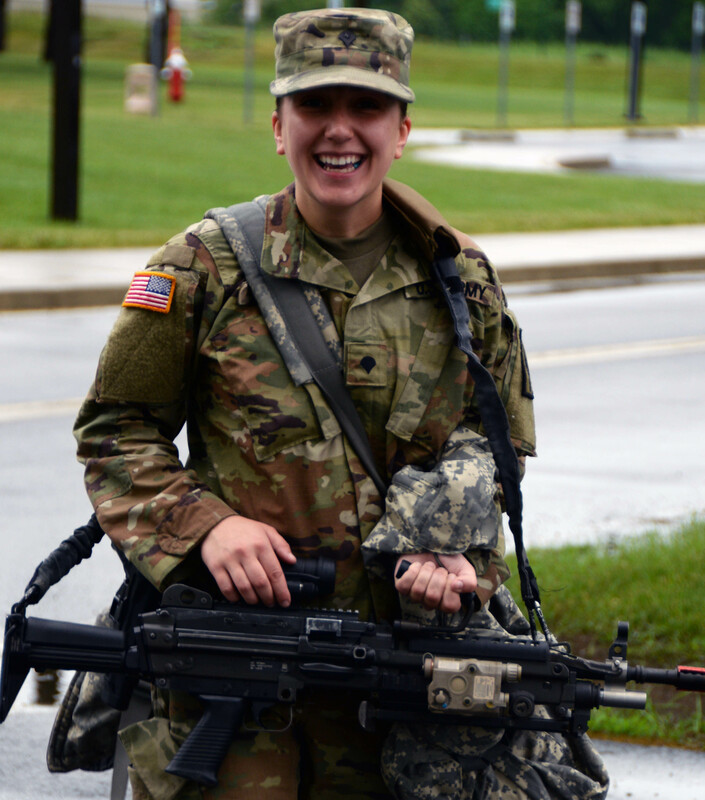 Gosse was loading humvees with weapons during her annual training.